Base color/root touch-up starts at $75.00. This includes an initial consultation, root color application, shampoo and condition, blow dry, and a down style. Only the roots/new growth/ grey is colored. All over color starts at $90.00. This includes an initial consultation, root color application, all over color application, shampoo and condition, blow dry, and a down style. Partial highlight starts at $105.00. 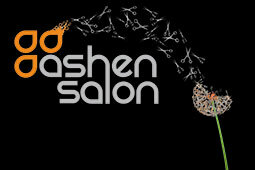 This includes an initial consultation, color application with foils, shampoo and condition, blow dry, and a down style. Only the top and sides are highlighted. Full highlight start at $150.00. This includes an initial consultation, color application with foils, shampoo and condition, blow dry, and a down style. The full head is highlighted. Partial hair painting/balayage starts at $120.00. This includes an initial consultation, color application via the hair painting/ BALAYAGE technique, shampoo and condition, blow dry, and a down style. Only a portion of the hair is colored. Full hair painting/balayage starts at $170.00. This includes an initial consultation, color application with via the Hair painting technique, shampoo and condition, blow dry, and a down style. The full head is colored. Please call the salon for better detailed extension information about the hair painting/balayage technique.